Before I begin, I need to share a few numbers because these reveal just how much my strategies have worked. In less than 2 months, I have seen remarkable growth. My Pinterest account and blog are growing daily. I have no doubt that as long as I continue to apply these Pinterest strategies. What’s the secret to these amazing results on Pinterest you ask? Before I share my ultimate secret with you I want to tell you about the one major error that I see time and time again on blogs. The one major error people make when creating pinnable images. When you create a post and make a pinnable image, I’m pretty certain you fill out the “alternative text” tag. If you’re not doing that, well… now you know you should! This field should be filled out in such a manner that will encourage people to click-through to your post. However, did you know you should be filling out the image title field of the photo as well? * Right click the photo after you’ve inserted it into your post. * A menu will appear above the photo. Most of us would think that would be sufficient but it’s NOT! You have to do this for every single photo in your blog post (even your thumbnail image)! This ensures that no matter what your readers pin, they have captured the fantastic pin description that you have written for your post. This tip is a big one but I have implemented many new and fabulous strategies to grow my blog. Where did I learn these strategies, you ask? Well… I took an e-course. I know, I know, it sounds silly to take a class about Pinterest but this class is the key to my Pinterest success. I was very skeptical prior to starting the Pinning Perfect e-course. I thought I knew all I needed to know about Pinterest. I’ve read countless blog posts about growing your blog with Pinterest and I didn’t expect to learn anything new. Well, I was wrong, wrong, wrong. This course was loaded with new ideas and strategies for me to implement. * How to make your Pinterest account appealing for people to follow. * The new Pinterest Smart Feed (and how to leverage it). * The two boards EVERY pinner should have. * How to drive traffic from your pins, back to your blog. These and all of the other course details are highlighted HERE. * A cheat sheet of the top 250 terms searched on Pinterest. * A Pinterest editorial calendar (so you know what to pin… and when). 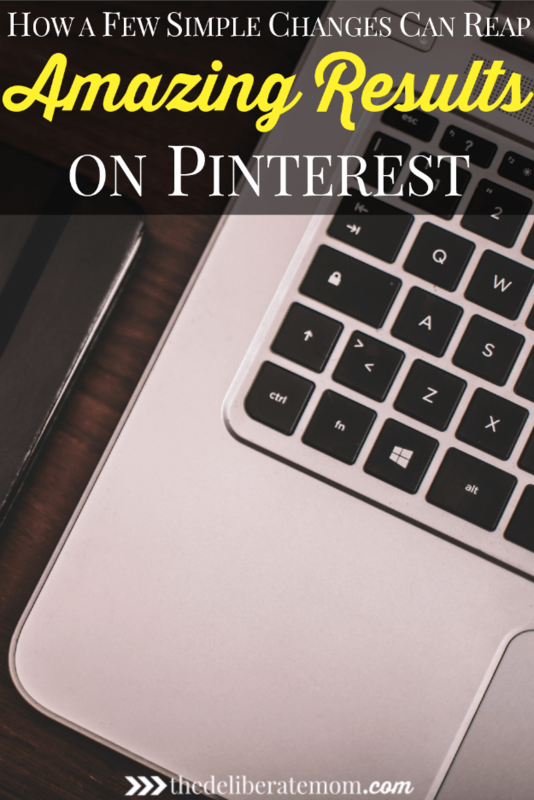 * A step-by-step Pinterest pinning strategy sheet (trust me… this system works)! * 2 live group chats. * A private Facebook group with direct access to the course instructor. * Access to a private, exclusive, Pinning Perfect group board. * A Pinning Perfect alumni group on Facebook. This course is a steal and is one of the BEST blog investments I’ve ever made. If you want to grow your blog and increase your exposure on Pinterest, then I highly recommend Pinning Perfect. The courses fill up quickly… so make sure to reserve your spot today! Thank you so much for the AWESOME Pinterest tips! I pinned it and will be putting them to use! I’m delighted you enjoyed this Echo. Thanks so much for pinning! I wan’t sure whether to fill in the title tag of my images as well, but now I know! Thanks for these great tips, Jennifer! I’m glad this helped you Carmia! Yes fill in those title tags! They’re VERY important! There are two different title tags I WordPress, the one on the basic upload doesn’t function as the actual title code. You’ll need to go to advance settings to include the title tag. Great post, by the way Jen. I always open up the advance settings but thanks for clarifying that Kristie! I added that point into my post to make it a little bit clearer. 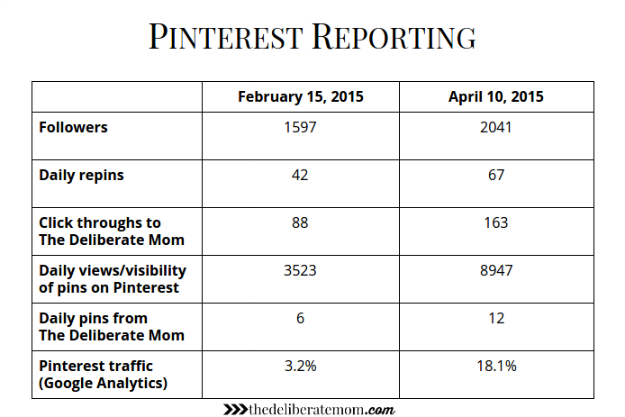 My pinterest traffic has slowed tremendously since Pinterest changed their way of showing pins. It is just as frustrating as Facebook now to me. Don’t know why they changed anything…if it ain’t broke don’t fix it! Pinning this post so I can refer back to it, thank you! 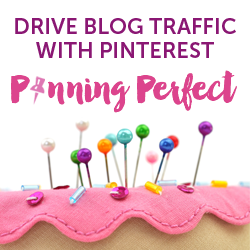 I learned in the Pinning Perfect class that actually the Smart Feed can do HUGE things for your blog but you do need to know how to create good quality pins. Thank you so much for pinning! I appreciate it. Well I have definitely been making that mistake, but no more! Thanks for the tip Jennifer! I was actually going to ask you how you filled that in. This course sounds awesome and I will definitely be looking into it. Glad to help out Tiffany! I loved the Pinning Perfect class. Outside of moving to WordPress it was single-handedly the best financial decision I made pertaining to my blog. Hi Jennifer! You should hire yourself out as a blog consultant! Thank you for sharing this information about Pinterest. I don’t have my blog on that, but I could upload it without a problem. I see the difference it’s made right before my eyes in your statistics! Wow! Aww, you flatter me Ceil. I just share what I know… which isn’t enough to market myself but I’ll take that compliment and hang on to it. It’s my pleasure to share what I’ve learned. I’m so glad you liked this Tawnya and that you found this information helpful. The Pinning Perfect class is amazing. Aside from moving my blog from Blogger to WordPress, it’s single-handedly the best investment I’ve made for my blog. Pinning your Pinterest tips (no irony there! Thanks for pinning Wendy! I appreciate it! Oh, my, I don’t know what happened to the rest of my comment — sorry to have sounded so short! :) Anyway, I’ll be looking into the course you mention as well! I had no idea about the titles! Thanks for the tip!! You’re so very welcome! I’m happy to help! I haven’t been around much these days and you won’t find much of me on the web for the next couple of weeks. Dealing with some personal things and right now dealing with a very sick toddler who just happened to have come down with whatever is going around. I don’t really use Pinterest but that’s a great tip. I’m going to have to give it a try and see if it helps for me. Most of my traffic comes from google search but would love to see a bit of traffic from Pinterest. So sorry to hear things have been such a struggle lately. Wishing you peace and healing. Great tips! I have been looking into this course but I took an in person Pinterest class with Anna Luther (if she’s the one teaching the online version) and it was so amazing and I have gone so far with Pinterest in ways I never imagined! The course IS with Anna Luther. She is AMAZING and all of the tips, worksheets, and resources she shared have been phenomenal! I’m glad this post provided you with some informative tips Krista! Wow, I did NOT know this!!! Thank you so much for sharing this tip, your Pinterest stats are amazing, especially since it was such a short amount of time. I need to get on the ball and take that course! Lots of people DON’T know the tip of filling out the title description, so when people use the browser pin-it extension or particular plugins, they may only get the image name (i.e img-9845), something not describing the post (i.e. Bella and the cat), or worse yet, something blank. In addition, lots of people just pin the post and don’t want to be bothered to fill out the details (so the post will not show up in Pinterest’s search engines) or they’ll bail on pinning the post altogether because… it takes time to fill out details! Man… I should have written all of that in this blog post too. Oh well…. This class was amazing. I obviously endorse it 150%. I need to get better at adding my posts to Pinterest. I definitely under-utilize it! Thanks for sharing these great tips! I’m so glad you enjoyed this post Alycia! Pinterest is a great source of traffic for websites – it’s a great idea to utilize it more! Great info, Jennifer! I love how you offered instructions for both Blogger and WordPress. Genius. :) Thanks so much for the information. I’ll definitely try it out. I’m glad you enjoyed this Kristy! I was on Blogger for 4 years and I was always disappointed when blog posts didn’t give instructions for the folks on Blogger. I try to be mindful of that… and I’m delighted that you appreciated it. Hi Jennifer, I do like Pinterest, but know I have to work at it a bit more. I have always filled in the alt text and other text bits behind the scenes on my images, but had no idea it was possible to get penalized for word cramming on them. Will certainly be taking that into account in the future!..Thanks for the tip! The keyword stuffing can definitely get you penalized… especially if you have seven photos all with the same description in the alt and title boxes of each photo! Thank you for the tips! I have finally started seeing traffic come from Pinterest but I didn’t know about the alternative text tab. Pinterest has really changed with it’s smart feed and search functions. Those keywords in your alt and title descriptions are more essential than ever. Thanks for the info! I didn’t know about filling out all the information! The course looks good, but is a bit out of my budget right now. If you can ever afford the course, I highly recommend it. I’ve looked into many blogging courses and they’re really expensive. However, this one was reasonable, offers a lot, and has already had a huge impact on my blog. I’ve almost made back the course fee from Google Adsense advertising! All great information. Thanks for sharing. This makes it especially difficult for those of us who use photos for more than one post to save media space. The alt tags wont match with every one. I just change the alt tags within the post to match the content of that particular post. It’s tedious but it does make a difference. Sorry it took me so long to respond… somehow your comment slipped past me. Food photos/pins do so well on Pinterest! It’s one of the top pinned topics. Great photos are essential. I never label my images! I better start.. thanks for the tips! Yes, labeling your images well is so important because when people pin from your site – YOU want to have a say on what the pin description is. A good pin description means it can show up in search results on Pinterest! I’ve made several changes and I’ve seen huge growth in my Pinterest account… which is fabulous for a parenting blogger like me. Usually the people who do well on Pinterest are crafty, DIY gurus! This really is a great tip, I had not clue that this is something you should be doing. Would you be so kind to give as an example of what you would put in the alt text and the title. I’ll gladly give you an example. Take this post I wrote about Pinterest. I hope this give you an idea of how to implement this change. I does make a huge difference! Wow. I had no idea about those text descriptions. Great tip! I am a Pinterest Zero. Perhaps I can get to hero, but I think it will take a while. I have a grand total of 220 Pinterest followers. Ha! And I pin about 20 things/year….all of my traffic comes from Facebook. Thank you for these tips! I’m going to read up on this a lot more!